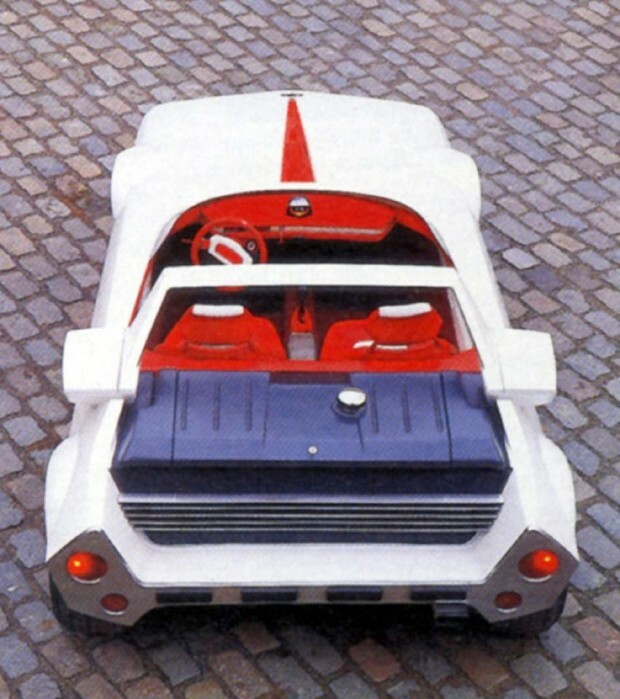 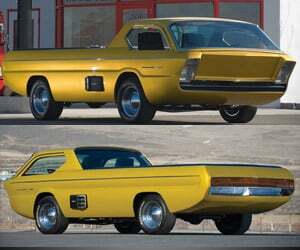 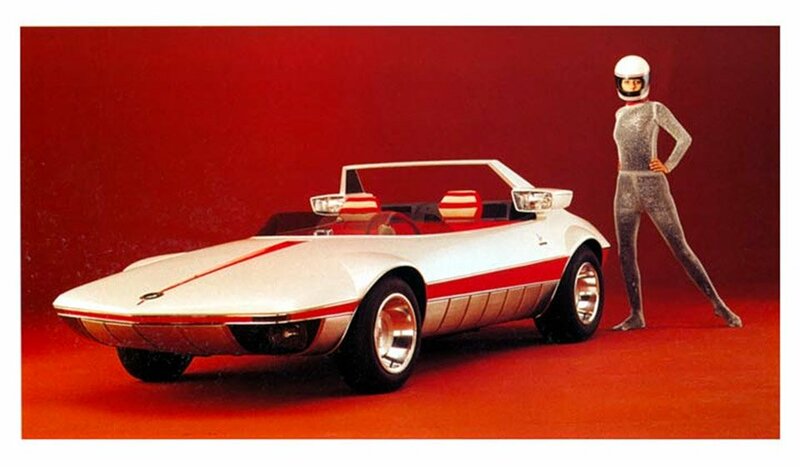 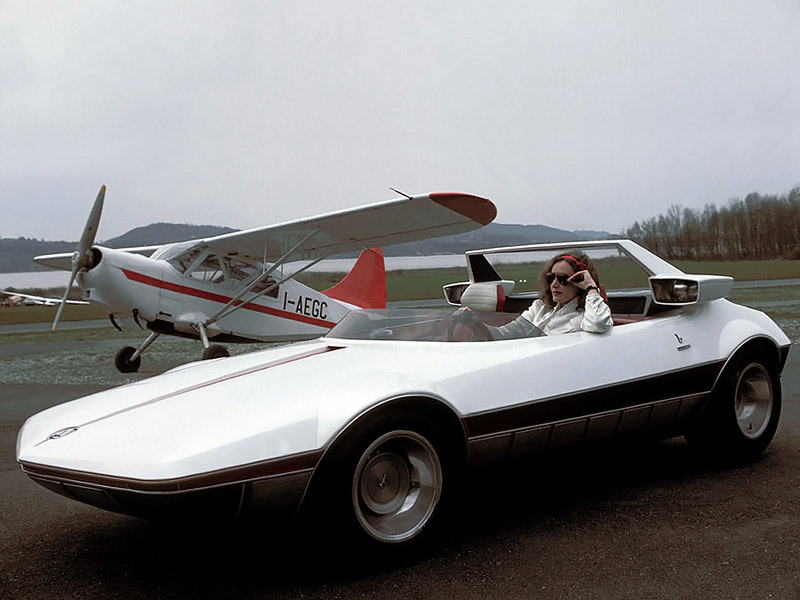 Revealed at the 1969 Turin Motor Show, Bertone showed off this wild ride which looks a bit like what might have happened if Speed Racer’s Mach 5 mated with a powerboat. 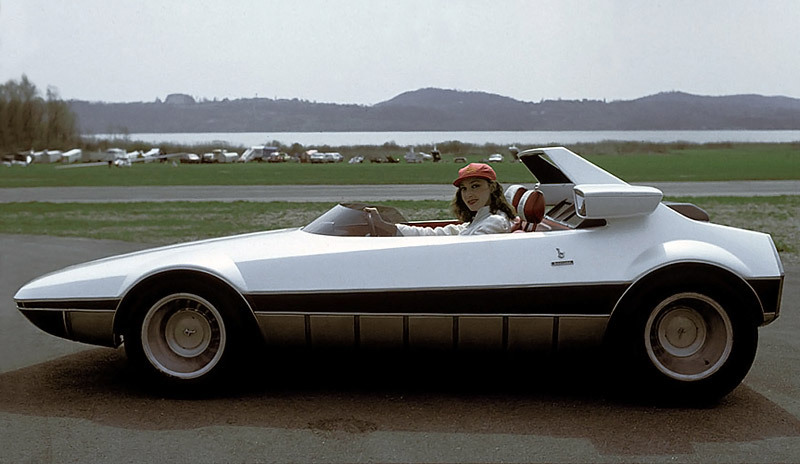 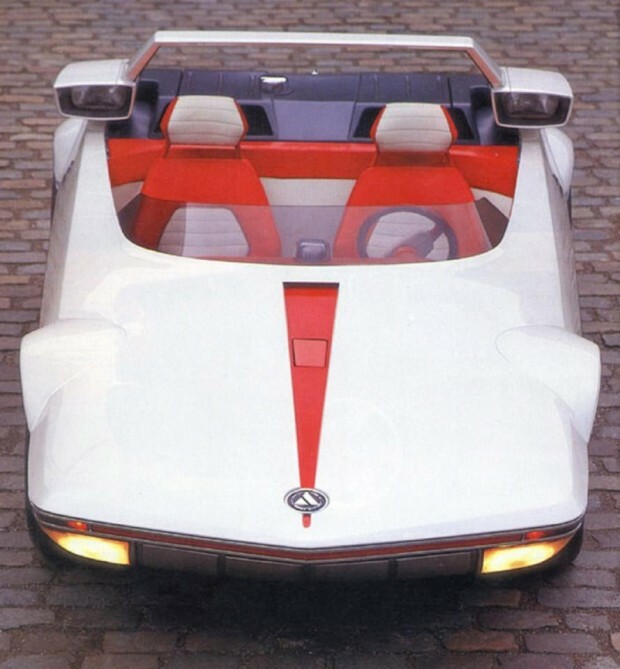 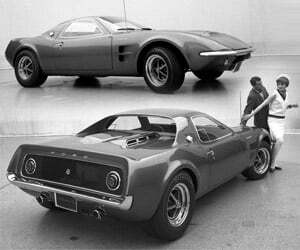 The car was designed by Marcello Gandini, and was powered by mid- mounted 1.1L Fiat 128 engine and matching 4-speed gearbox. 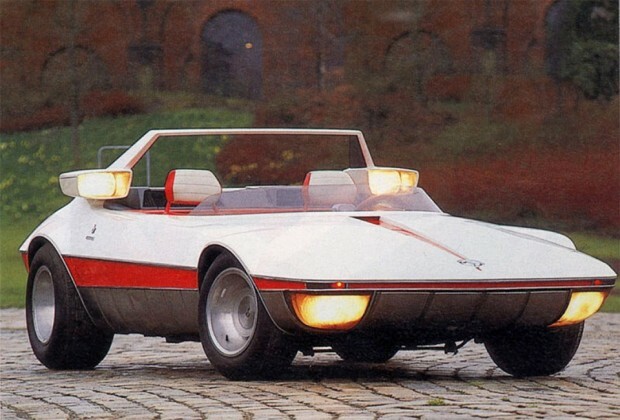 Beyond its funky wedge shape and low profile, one of the most unusual design elements of the car were its headlights – which were mounted next to the occupants’ heads on the roll bar. 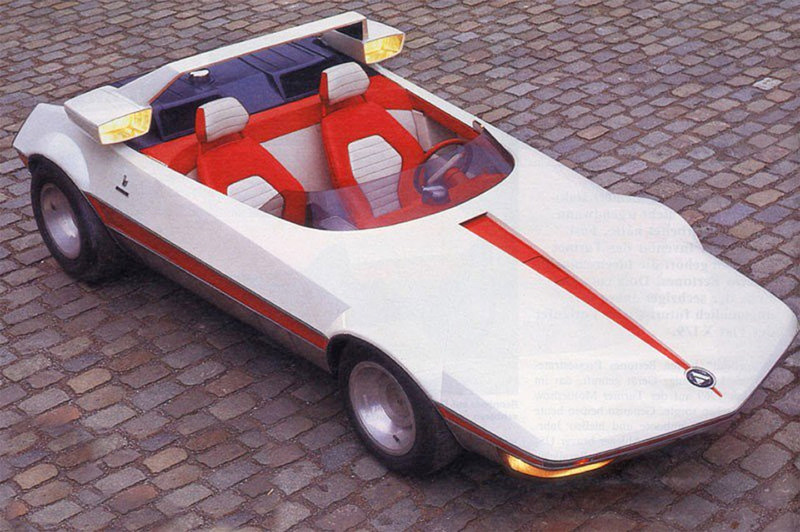 You’ll also notice that the car has no doors – that’s because it was designed to be amphibious. 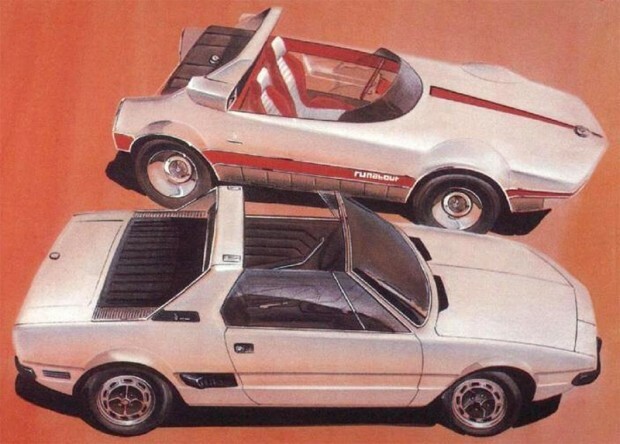 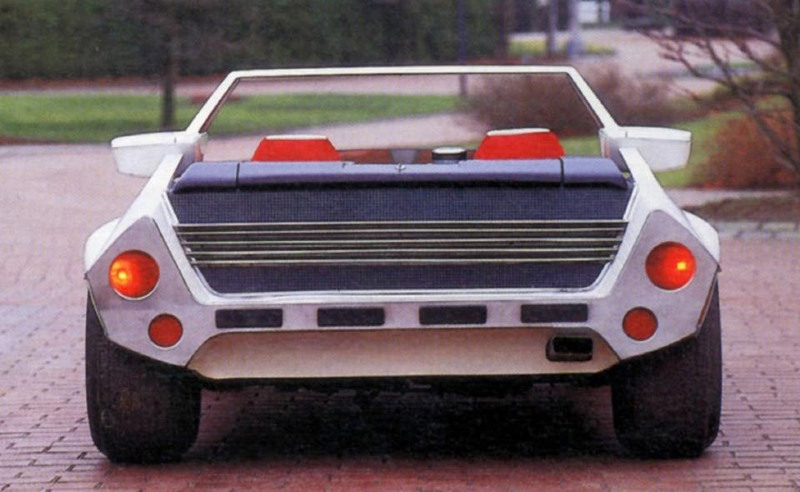 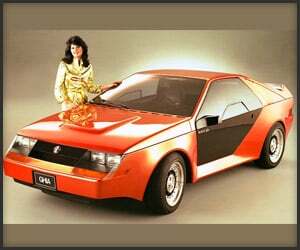 While it’s not obvious from the pictures, the Runabout would eventually serve as the basis for the wildly popular Fiat X1/9, which as far as I know, does not float.